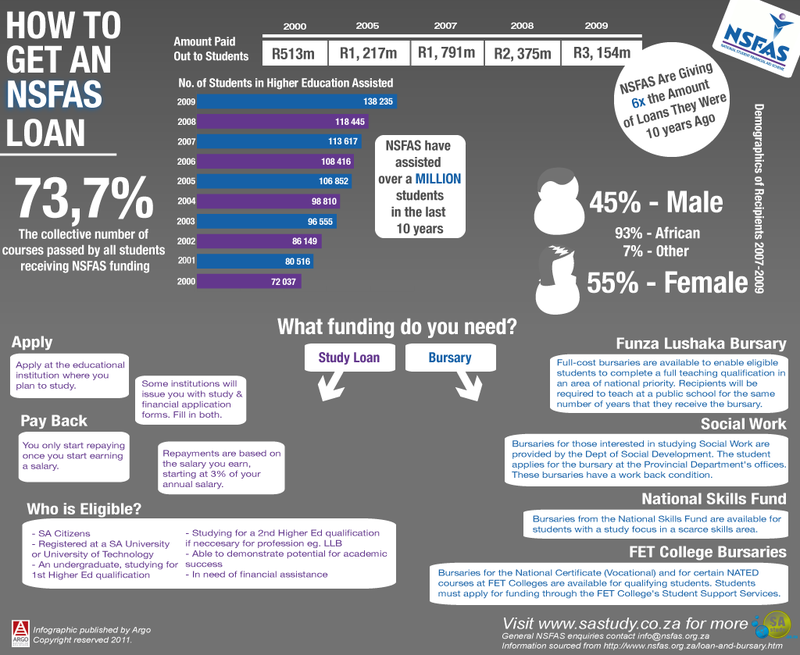 We have produced an infographic for quick reference on how to get an NSFAS Loan. As well as who, how and how much goes into an NSFAS Loan. Double click the image to save and enlarge or right click, and select ‘save as’ to download it as a PDF. Feel free to share and distribute our infographics. Do not remove the copyright or Argo/SA Study watermarks. We’d appreciate you linking back to our site to if you plan on using this on your site. Click here for the text version of this infographic.